Ableton has been one of the big players in the production game for years, rivaling programs like FL Studio and Logic for the top spot. And despite their place near the top of the leaderboard, the company hasn’t forgotten the little guys, launching an initiative that will undoubtedly help thousands of aspiring producers. 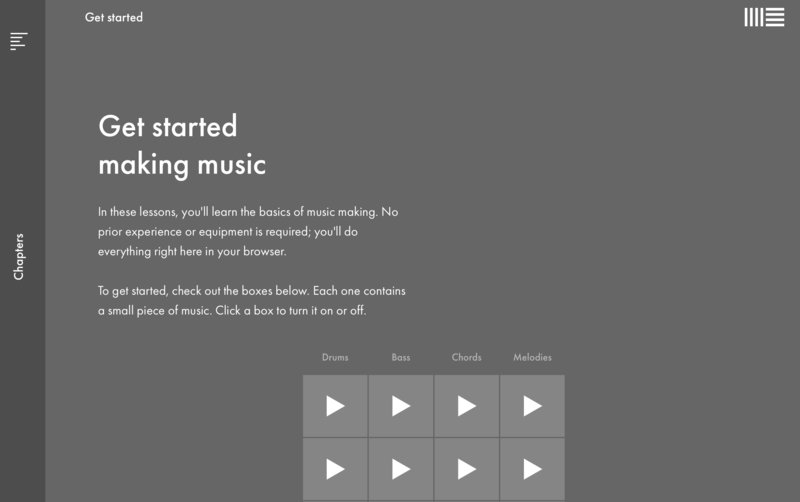 They’ve launched the “Learning Music” website, which provides FREE, in-depth lessons about the basics of music making. Everything is contained within your browser, so no additional equipment or programs are required. The website is aimed at those that are intimidated by all the knowledge required to know the ins and outs of a DAW like Ableton, by creating a simple platform to help inspire creativity while also educating. If you’re looking to break into the production scene and make those ideas in your head into something real, check out the “Learning Music” site HERE!